We understand how important it is to execute an event so that all your hard work pays off. We are dedicated to provide you the tools you would need to help you arrange an impeccable event. No matter what your venue is, every event can be turned into a VIP event if the right equipment is used. Trust us—we take the stress out of event management. Your event reflects how much care you have put into it, and we understand that you may not have enough time to handle the audio/ video systems, what with taking care of your guests and being a host. But we are here to be your extra limb to take care of all the aspects that seem stressful, and help you create an event that is larger than life. If you want to leave your guests “Oooh-ing” and “Aaah-ing” at your perfect event, reach out to us. 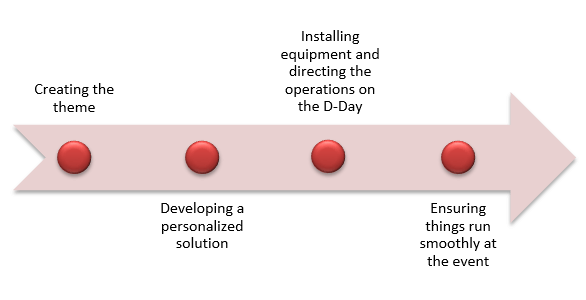 From the design concept to flawless implementation, we take care of each step that helps you deliver what you had in mind without any setbacks. 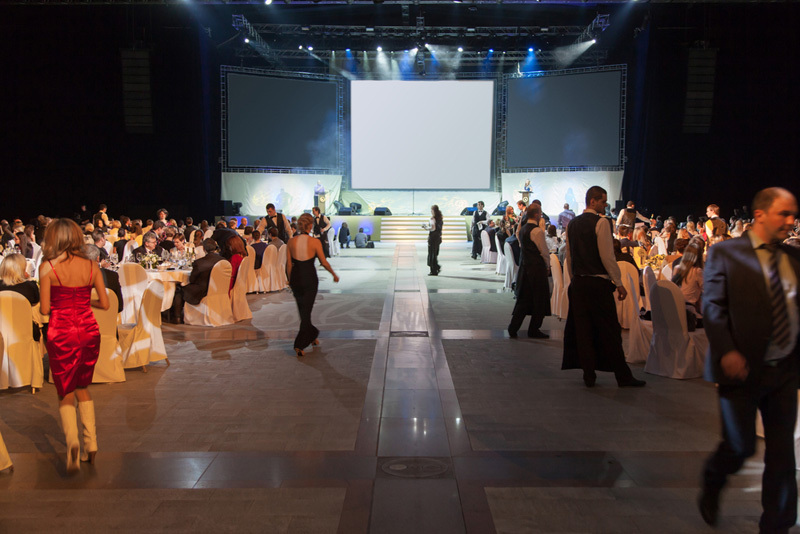 Our state of the art technology and expertise in event management is a formidable combination that can make a huge difference to the setting of your venue, and make the most of it by enhancing its best facets. Every client that approaches us has a unique set of needs and expectations. We do not force a boxed solution to anyone that comes over. Instead, our team sits down, takes the recommended venue and the client’s specifications into account, and craft a personalized solution that fits perfectly in your budget and requirements. It doesn’t matter whether you choose an outdoor venue or indoors, we can transform any space into how you had dreamt it to be. Our team includes professionals in live event production, equipment installation and operation, and logistics, all of whom are adept at putting together an inspiring event. We assist you in every step of the way, making the entire process easier. We deliver an unforgettable experience. There is no substitute for that. With our innovative lighting solutions, event designing, and installation of audio and video equipment that is a perfect fit for the venue, your event type and mood, we convert a simple event into an extraordinary one! Your audience would love the custom staging and organizing of the event, and will remember it for a long time. The perfect event you need is in your reach. Taking into account the fact that our team has successfully arranged shows in various spaces like office buildings, open grounds, hotel ballrooms and convention centers, we can help you deliver your special event in all its glory of perfection and attention to detail. What are you waiting for? Contact us today to book our services and guarantee a VIP event!